The presidential election last night was a bit crazy, so I thought I'd switch things up and bring in a bit of lightheartedness to your life. Truth be told, I'm not the most organized person on the planet. But I sure do try! 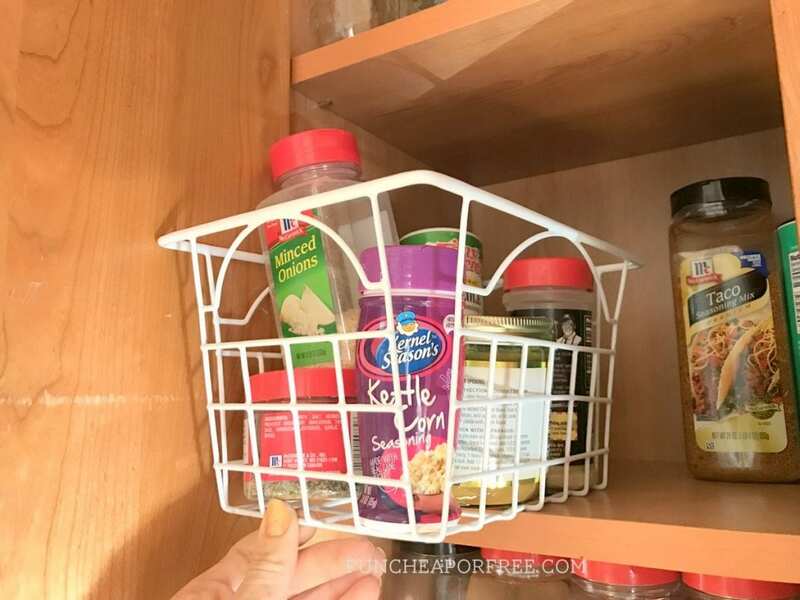 I've had lots of questions about my kitchen and how we store things, keep things organized, and function with so many people in our family (5 kids for those who might be new). So for today's Millennial Moms video, I'm giving you a little behind-the-scenes look at my kitchen, and showing you some of my favorite kitchen organization tips! Be sure to subscribe to Millennial Moms and my own YouTube channel if you haven't already, we have lots of fun over there *obnoxious wink face and thumbs up inserted here*. See, that wasn't too bad! While our kitchen counters (and floors…) are almost never spotless, our drawers stay pretty darn organized. Yes, we have lots more drawers in this house than we did before (which is a huge plus), so these may not work for all of you. Just don't forget the power of baskets, bins, and containers! Keep small things contained inside a bigger…thing…and you'll be happier! It cuts down on waste, saving you money as well…which is a big fat bonus, if you ask me. Oh, and in case you're wondering, yes. Yes, we have a bajillion spices. I robbed a spice factory when I was younger and just don't feel that bad about it. Ok fine, not only am I not funny, but I'm a liar. Bubba's uncle used to work for a spice company and would bring us BOXES of spices. #Spoiled. Thanks for watching, have an organized (snort) week! Great ideas! I love your videos! Just fyi, spices expire after a year…some go rancid, some just lose the flavor/color. Haha yes, made that mistake once – yuck! You have THE BEST articles. Every morning I can’t wait to read what you posted. Even before my coffee! Just can’t find your layering under tee shirts. Can you help me out Cosco does not have any. You are to be greatly congratulated on all your hard work. Sure! Head to this post: http://funcheaporfree.com/2016/10/style-basic-layering-shirt-discount-code-on-my-favorite-brand/ and I’ve got the links and information there! Great ideas!! 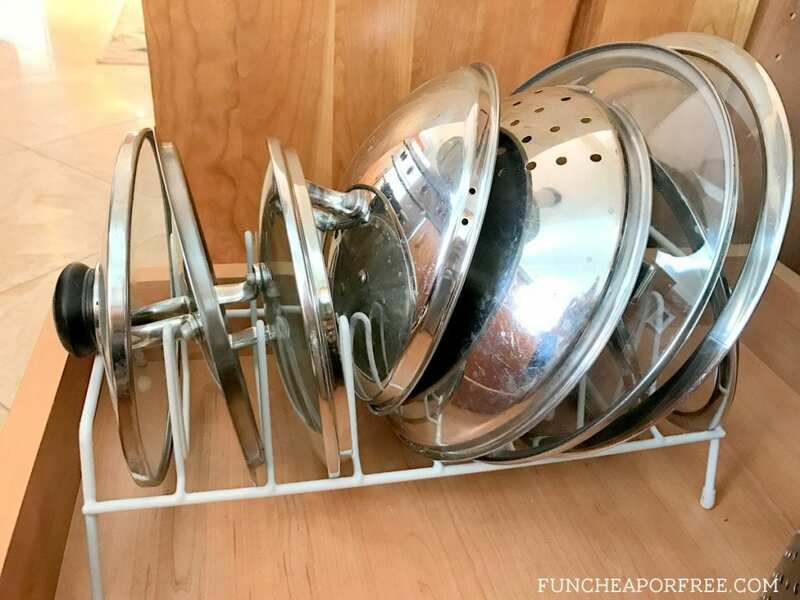 How do you organize the large utensils & kitchen tools? (Spatulas, large spoons, can opener, etc) I’very seen a video where they used cardboard to divide the drawer diagonally buy was wondering what you do? You’re awesome, thanks so much! I have them in a shallow drawer! I found that when I moved they wouldn’t all fit, so I weeded through and got rid of a bunch. Not only does it fit better, but I had way more than I needed! I literally have 2 drawers, four feet of counter top, and 8 cabinets! I have had to do some major maneuvering and ordering of things to hopefully get things to work out! I ordered a microwave cart that will have cabinets under it to hopefully store cereal. I am asking my dad to put in a shelf where my pots, pans and baking sheets will go to utilize the space better. I don’t even have a linen closet so I ordered a pantry to store towels in my bathroom! This will also hold my laundry supplies when I get my washer and dryer. (If you can’t tell, I just moved. I was in a bad location before but believe it or not, I LOVE this place-even though it has a very small kitchen, no dining room or real place for a table even but I make do!) I just have to survive until I can get everything situated! Putting our storage bags in a drawer was a game-changer. Makes it so easy! Aw yay! Thanks for joining the fam! 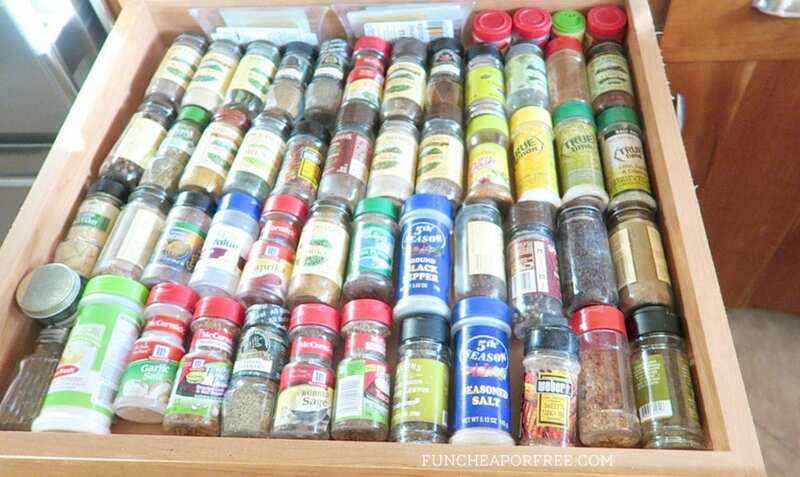 moved my spices to the drawer and my life is 10X better!! I don’t have as many spices as you but I hate rummaging through them to find what I need. I’m totally getting baskets to group them for easier finding! ! Maybe I’ll label them while I’m at it!